This article supports designers and installers that want to ensure optimum flow and meter performance. Covering product best practice, we look at the specific issue of entrapped air in flow metering systems. 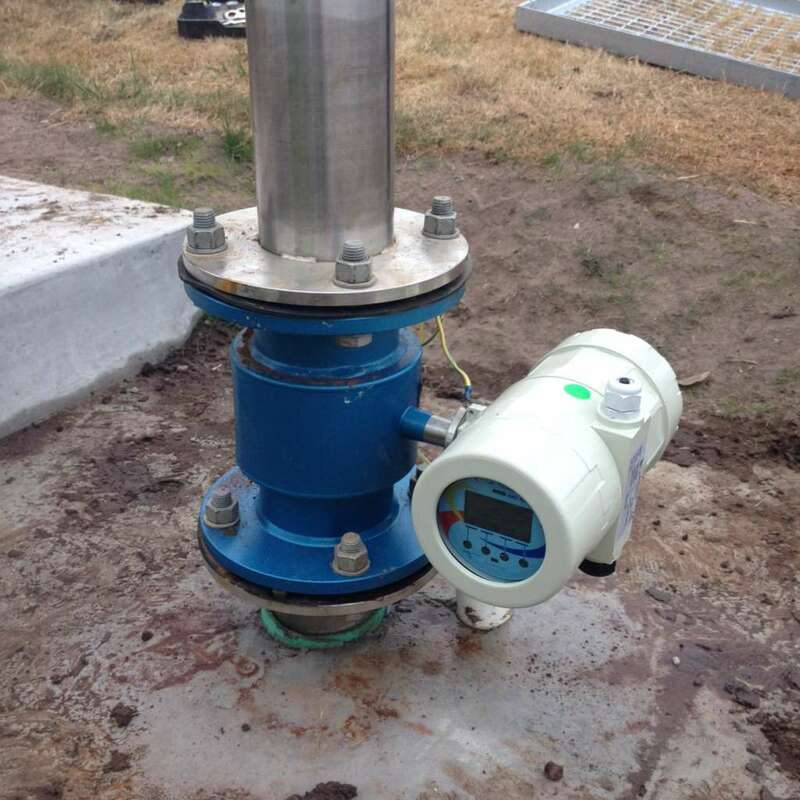 In most irrigation applications, the installation of electromagnetic flow meters is an integral part of the water supply system. Within farm irrigation networks, the meter is generally used for control or billing purposes. The nature of a flow meter’s design means that entrapped air can cause a variety of stability and reading errors, affecting the overall performance of the system. By designing the system with this issue in mind, we can mitigate this problem for greater function and optimisation. A magnetic flow meter, generates a magnetic field inside the flow tube (sensor). Following Faraday’s Law, the flow of a conductive liquid through the magnetic field creates a voltage signal that is sensed by electrodes located on the flow tube walls. The presence of entrapped air can cause the reading to be erratic, and/or highly inaccurate with potential for over reading. Many meters can go into a fault mode due to the instability of the reading. While most manufacturers provide detailed installation advice on how to install their meters, they rarely discuss how air moves through the pipeline, and the best ways to minimise these problems. 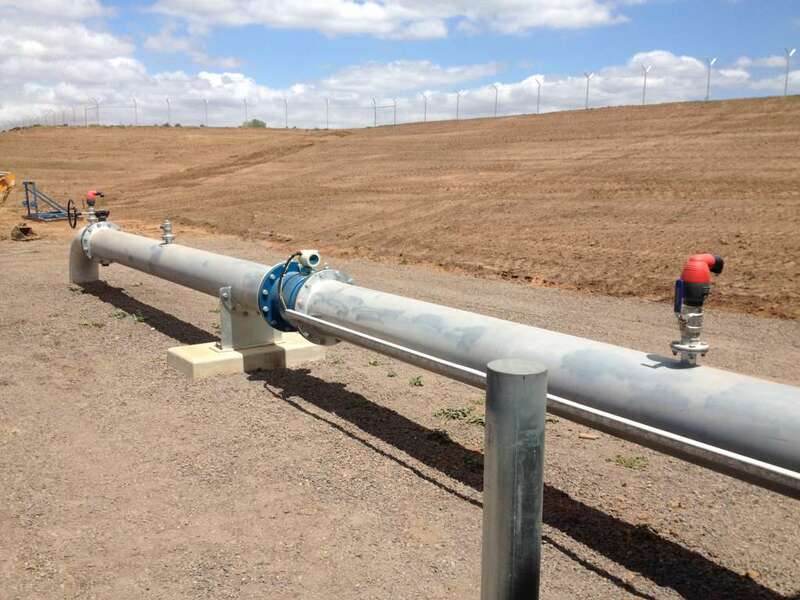 It is generally assumed that air inside a pipeline will always move to the top of the pipe, and will shift if flow is passed along a horizontal pipeline. However, this assumption is not always the case. Often, a specific water velocity is required to move the air within a pipeline, and the greater the pipe diameter, the greater the air velocity required. Most Magflow installations are sized to the pipe diameter rather than the flow rate within the pipe. This means that water velocity can often be less than 0.5 m/s, which can be very problematic if entrapped air is present. What this example shows, is that the greater the pipe diameter, the greater the required velocity. Without this velocity, the air pocket will remain at the same location. It is also important to understand the effect that water pressure has on the nature of the air inside the pipeline. The lower the pressure, the greater the entrapped air. This can compound the impact on the flow meter’s performance. By increasing the pressure in the pipeline, the entrapped air poses less harm. This can be achieved by installing pressure sustaining valves within the network to keep the system pressure consistent. One solution is to install the meter with a rising gradient to ensure that the air will move to a higher spot. Suitable air release valves can be installed in order to release air from the pipe and maximise the flow capability of the system. We would suggest the minimum slope in an upward flow should have a gradient of 1 : 500 or steeper to induce the air pocket to rise away from the meter. Meter with a slight rising gradient with air release at the top. A second solution is to mount the meter vertically, with the flow moving upwards. This ensures the air always moves quickly past the meter without generating ongoing issues. Meter with vertical upward flow. A general principle of any installation is to ensure the meter is always kept full of water. This is not always possible, as part of the network may drain out as pumps are turned off. It is then critical to ensure that the design incorporates suitable air release valves to release the air on pump start—so that the meter starts reading immediately that the flow has passed. 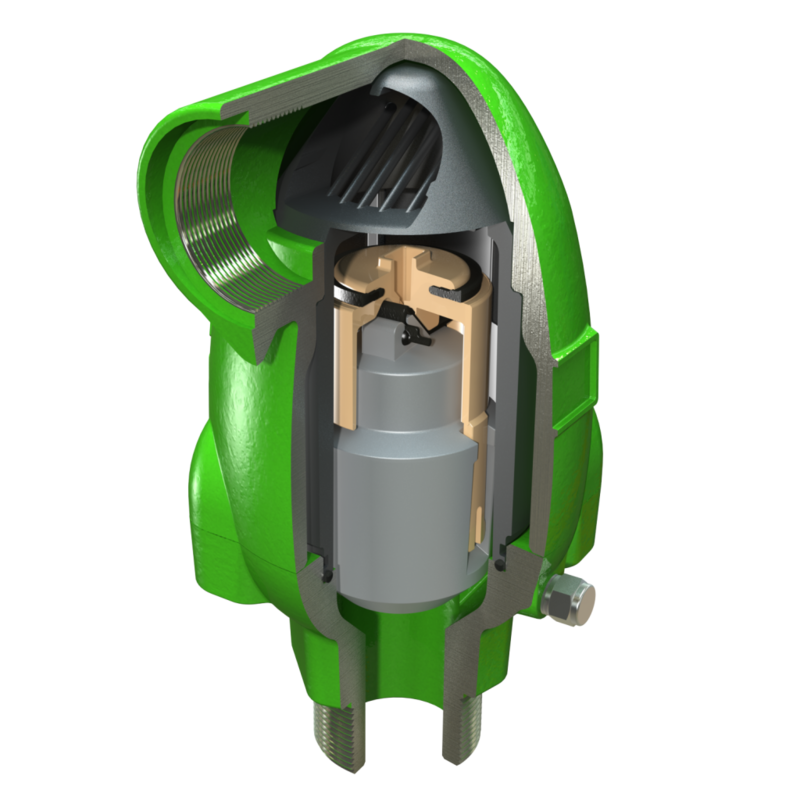 The design of the air valve is also critical to ensure that the entrapped air is effectively released. 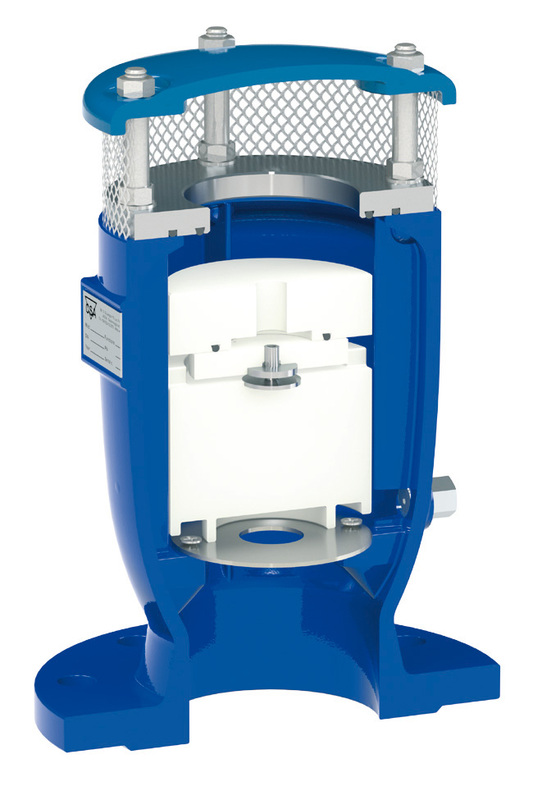 Kinetic air valves or vacuum breakers should be avoided, as combination air valves with an automatic and kinetic orifice are best practice for these types of applications. 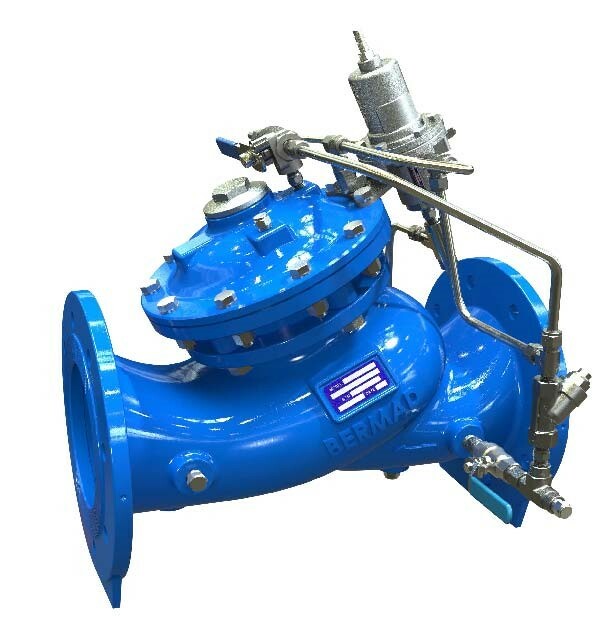 These combination valves will ensure that larger volumes of entrapped air are released effectively during the filling and the operation of the pipeline. 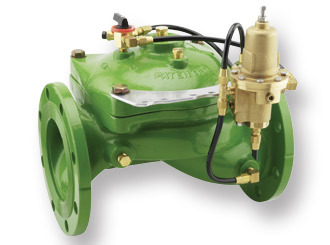 Typical combination air release valve designed with automatic and kinetic air release functions. It’s always best to discuss the design of the pipeline prior to any installation. Our team of engineers and pipeline specialists are available to help make recommendations to ensure the success of your pumping station, pipeline or irrigation system. Get in touch with us online, or visit our YouTube channel for more resources, insights, and ‘how to’ instructions.